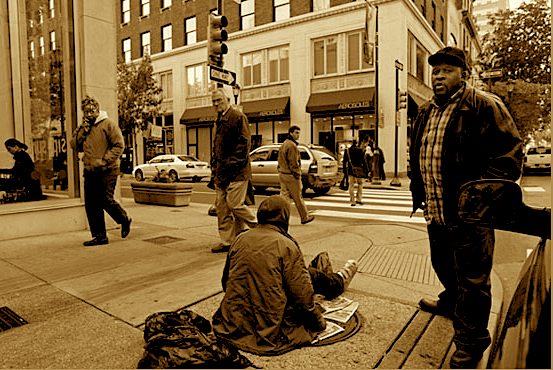 BY JEFF DEENEY You might be asking yourself, as I initially did, why the Inky’s last installment in their three part series titled, “Homelessness in Philadelphia” focuses almost exclusively on New York. I’m not entirely sure, and while your conjecture is as good as mine, I’ll take a stab at formulating some theories. I imagine that this article was meant to act as a sort of demonstration piece about housing first, which is still relatively infantile in its deployment in Philly compared to other cities. When critics harsh on housing first in Philly, they make it almost believable that this new approach to solving the homelessness problem is a fad that will pass and be forgotten. This is mostly because the City of Philadelphia hasn’t yet dedicated itself to housing first, so the few initiatives we have are mostly with nonprofit agencies and still being rolled out. SafeHome Philadelphia is in the grant funded, pilot program stage, and while Horizon House has sort of “legitimized” housing first in Philly by making the changeover from grant funding to billing the city for services, that change came relatively recently. However, when you take a trip up the turnpike and look at the sheer size and scope of housing first initiatives in New York, it’s clear that what is happening is not a fad, but a fundamental shift in the way major cities will handle the problem of homelessness. Spending $678 million dollars on reducing the numbers of homeless on the street, including $129 million dollars for rental subsidies and using 3,000 Section 8 housing vouchers for homeless individuals and families is making a serious statement. New York is setting the bar pretty high, and while Philly will unfortunately not be able to pull together this kind of anti-homelessness war chest (half of which is paid for by tax payers, and one thing New York has that Philly does not is a healthy tax base), I think the signal being sent to other cities from New York, and to the Mayor’s office by the Inquirer with this third installment, is that the time has come to stop messing around and start getting people off the streets and into permanent housing. Typical. Ineffectual political fiefdoms thrive while another talented person with real ideas goes to New York. This isn’t to say that Hess wouldn’t have hit the same gridlock in Gotham if it weren’t for Mayor Bloomberg stepping in with no-nonsense ultimatums to social service providers that lent Hess the political will to completely restructure the city’s anti-homelessness efforts. And New York is going to need to be on its game; another thing New York has that Philly doesn’t is a totally insane cost of living that practically chokes working poor families to death. New York is at a crossroads where it needs to decide whether it wants to be five boroughs of wealthy white professionals or work to preserve the ethnic and socioeconomic diversity that has historically made it a great place to live. How New York handles its family homelessness problem, which grows as once poor and working class neighborhoods gentrify, will tell the tale. I’ll close with a quick correction for the Inky, who with this series has finally broken the log jam in the discussion about homelessness in Philadelphia that has been long monopolized by a few well-connected voices. The series concludes with a quick profile of a family housing first effort in Brooklyn called HomeBase. The Inky quotes Melissa Mowery, “a caseworker in a HomeBase center in Bedford-Stuyvesant, one of Brooklyn’s poorest sections.” Actually, Melissa is the director of HomeBase; she’s been doing this kind of work for more than 15 years and deserves the title. She’s a close ally of Phyllis Ryan at SafeHome Philadelphia and has generously lent her support, experience, and insights to the agency over the last year. Make a donation to SafeHome Philadelphia, a privately funded grassroots effort that really does more with less. ABOUT THE AUTHOR: Jeff Deeney is a freelance writer whose work has appeared in PW, City Paper and the Inquirer. He focuses on issues of urban poverty and drug culture. This entry was posted on Tuesday, February 26th, 2008	at 2:52 pm	and is filed under News	. You can follow any responses to this entry through the RSS 2.0	feed. You can leave a response, or trackback from your own site.